Get fish to bite with the Trigger blade bait. 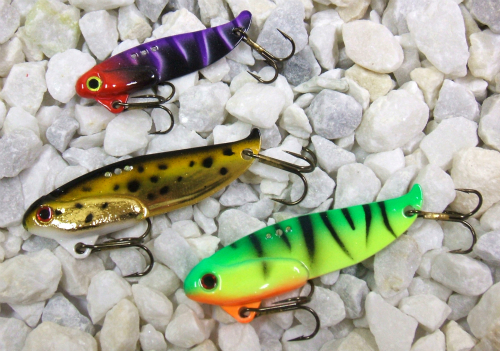 These metal vibrating lures excel as vertical jigging and casting lures. They come in 3 different sizes and work great for walleye, pike, bass, lake trout; just about everything. Deadly thoughout the open water and ice fishing seasons. The heavy vibration from these lures will also produce strikes when live bait won't.